Fremantle Dockers players doubled-down on their commitment to support young people in the Fremantle community last month with the launch of their Beyond the Game project at Fremantle PCYC. Fremantle players will donate their personal time to helping out with the Night Hoops youth engagement program and the Fremantle PCYC Safe Space program. 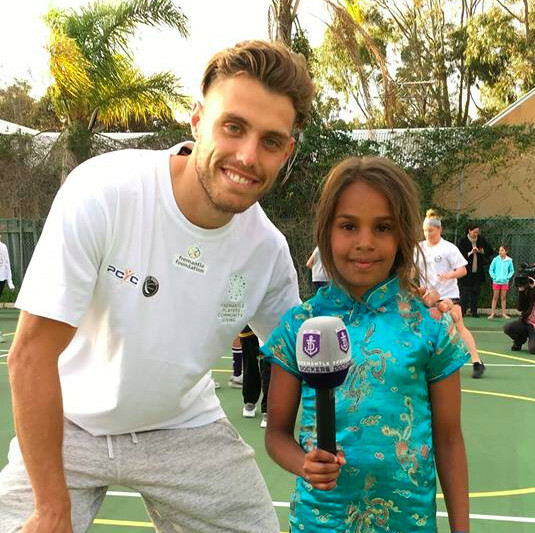 To launch the initiative Fremantle players spent the afternoon playing basketball, taking part in team-building exercises, a sumo-suit activity and even cooking sausages for around 60 local kids aged 10-18. 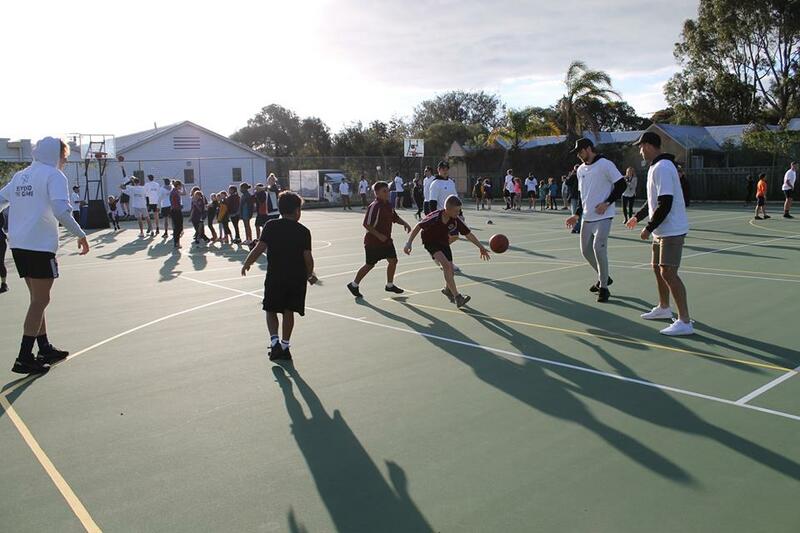 The project follows the players creating their own charitable fund with the Fremantle Foundation, Fremantle Players’ Community Giving this year and granting $5,000 to both Night Hoops and Fremantle PCYC Safe Space. Nat Fyfe spent time chatting to his biggest fans between shooting hoops, while Aaron Sandilands and Hayden Ballantyne dutifully manned the snags. Between the players and the kids it was hard to tell who was enjoying themselves the most. Night Hoops board member Griffin Longley said the initiative of the Fremantle players was an inspiring example of communities working together to support and mentor young people in need. Fremantle PCYC Centre Manager Julie Gorman said the organisation was proud to be hosting the project launch. “Projects like this show, yet again, how important youth engagement opportunities are to building stronger, more connected communities. Click Here to listen to Tommy Sheridan talk to Simon Beaumont on 6PR Afternoons about the launch of Beyond the Game.